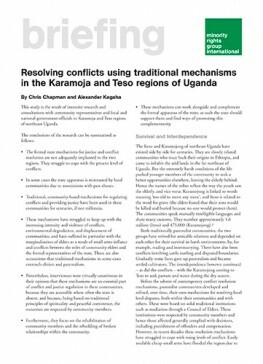 Greater use of traditional community based systems, such as elders’ arbitration councils, could help resolve long standing conflicts between communities in East Africa, Minority Rights Group International demonstrates through its latest briefing on the conflict in Karamoja and Teso in Uganda. 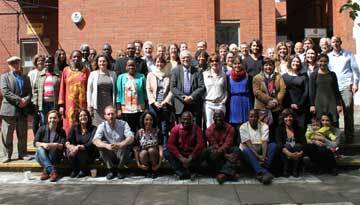 The briefing, launched on 25 August 2009, explains that the failure of state solutions to resolve conflict in these areas and the lack of trust by community representatives of national systems emphasise the need to use traditional responses that have been tried and tested within these communities for several centuries. To read more, dowload the full briefing paper below. Note: Download only, printed copies are not available for this publication.